20 years of history, 7 minutes of video. This week’s Power of Nonprofit Storytelling. What do you get when you bring three of the nonprofit sector’s best copywriters together? Gold. Pure gold. Author of How to Turn Your Words into Money and The Fundraiser’s Guide to Irresistible Communications; Jeff Brooks, Super-heroine of Colludo; Sheena Greer, and Principal of Hands-On Fundraising; Mary Cahalane, all joined us to lend their fundraising copywriting expertise in the form of some seriously sage wisdom in this week’s Copywriting Cure feedback session. Setting aside the politics of PayPal, they are still a worthwhile payment processing option for the small nonprofit organization — IF you’re using it correctly. Check out this week’s read from Mary Cahalane. And look into Stripe as well. You are an all or almost all white staff with an all or almost all white board. You’ve tried to hire black people and other people of color, but they never seem to stick around long. Same with your board. You know the organization isn’t perfect but why can’t you seem to create a diverse staff and board? Become an Anti-Racist Nonprofit. It’s Time. Heidi Massey. Back in 2013, Michelle Sanders Brinson took our Nonprofit Newsletters class and we’ve been friends ever since. Meet the delightful Michelle (and learn the storytelling secrets that brings her organization $2M a year in revenue from newsletters alone) in this week’s episode of Nonprofit Story Tour with Chris Davenport. How to tell good fundraising design from bad. New from Jeff Brooks. 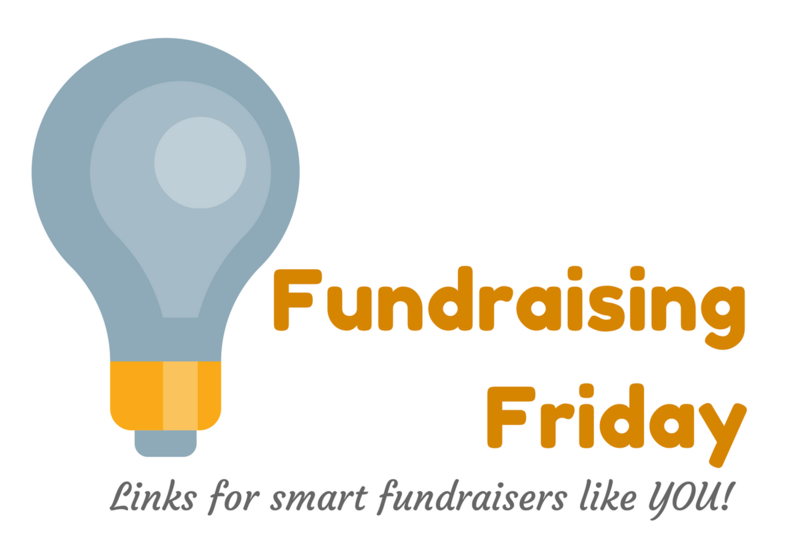 If you’re a good fundraiser, part of your job — like it or not! — involves leadership. Maeve Strathy is back with Leading When You Speak. If your job title falls under the category of “one-person development department,” it’s very likely that sometimes, you feel like a chicken running around with its head cut off. Perhaps you could benefit by emulating Trader Joe’s…and I’m not talking about their dark chocolate salted almonds (although if you haven’t tried ‘em, you MUST). Will this be another disappointing year-end campaign? Not if you sign up for our tried and true classic, Supercharge Your Year-End Fundraising | Basics & More. The doors close tomorrow. Sign up now! Are you putting off getting started on your Year-End appeal letter? Don’t quite know where to start? Join me for our next Motivate Monday session when I’ll lead you through a successful fundraising appeal letter from start to finish. Save your seat here.